There is a science to the art of DJing. A good DJ is ultimately the most important aspect of any club or party. If the DJ is out of wack, then the crowd isnâ€™t responsive, and the atmosphere suffers, and the party-goers are left thinking, â€œWhy did we come here?â€ Everyone loses, even the club owners. That is why choosing the right DJ is an all-important decision. Despite a name that gives junior high school boys the giggles, and maybe more, Tittsworth has skills. Having been in the game for a number of years, Tittsworth has worked with the best of the best, and continues to do so. Heâ€™s living proof that there is a necessary skill set that one must have to produce a dope club mix. Format: For those who are unfamiliar with you and what you do with music, give us a brief background of how you became involved and why youâ€™re an icon now? Tittsworth: My name is Tittsworth (itâ€™s my real last name) and I have been writing various types of dance music for about a decade. For about half of that time I have been focusing on Baltimore Club, starting with bootlegs and remixes and more recently transitioning into original songs. Iâ€™ve been a DJ for about a dozen years. I mix just about any genre out there, focusing mainly on club and fast-paced dance music. Format: As far as collaborating with artists, what is your strategy? Tittsworth: Some of the artists like DJ Assault and Kid Sister made a lot of sense for what I was doing and were easy choices. A lot of others were hook-ups. For example, A-Trak liked one of my tracks and hooked me up with Nina Sky. Nick Catchdubs did the same for The Federation, Benzi, and the same for Pitbull. I also wanted to have some locals on there, B-more legends but also some up-and-coming DC cats too. Format: How will the new album Twelve Steps display your production skills? Tittsworth: Itâ€™s my first attempt at song writing and breaking away from bootlegs and sample-based production. Iâ€™m very proud of what Iâ€™ve accomplished. I think itâ€™s a good step for me and more importantly for club music. Iâ€™m always looking for the next step. Format: What do you think it is about your style that makes you so popular now? 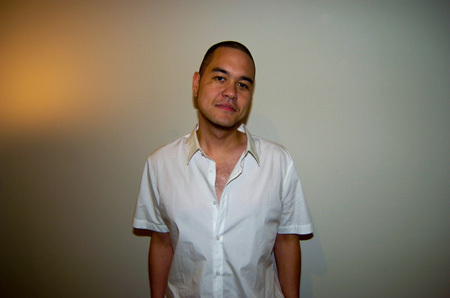 Tittsworth: Originally club music was made popular by its DJ/club-friendly format and its familiar samples. I think itâ€™s time to take the genre beyond some of the gimmicks that gave it so much original attention. Format: How do you define a well-structured mix? Tittsworth: DJ mix? Something with progression, balance, dynamics and a good range of emotions. Format: While DJing, how do you personally know when youâ€™re doing a good job or moving the crowd? Tittsworth: When I can stop thinking that my reactions are just clicking. When Iâ€™m wiping beer off my laptop (and I donâ€™t drink). Format: What are some of your current projects? Plans for the future? You mentioned in another conversation to me that you were going to Europe. Tittsworth: I just did club/rave remixes for Solange (Beyonceâ€™s sister) and Subfocus (one of DNBâ€™s most respected names at the moment). I was also recently asked to work on something for disco legend Grace Jones. Also, Iâ€™m in the process of packing for a European tour including London, Paris, Dublin, Milan, Rotterdam and Amsterdam (for the ADE with Crookers and Digitalism). Format: If you hadnâ€™t gotten into DJing, what do you think youâ€™d be doing for a living? Tittsworth: Iâ€™ve often thought about going to culinary school. Also, I just started piano lessons. Format: Why didnâ€™t you decide to change your name as a DJ? Tittsworth: I didnâ€™t think changing one of the realest things about me was a good way to start any potential career. Format: Anything you wouldnâ€™t mix together as far as music or genres? Any risks you take that other DJs wonâ€™t? 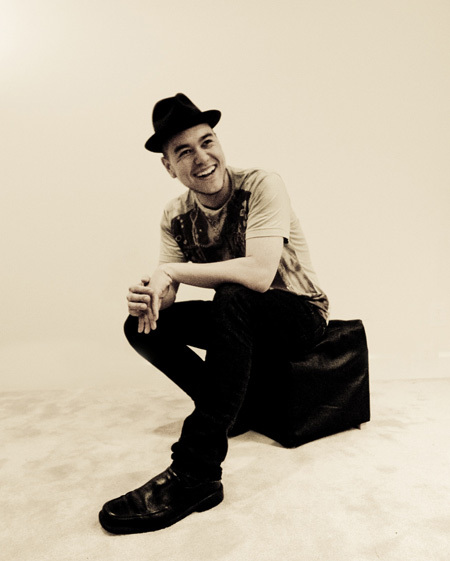 Tittsworth: Iâ€™m not afraid to take chances and play a dozen random genres, or some guilty pleasures. I guess for me, itâ€™s more about when to play and when to take those risks, as opposed to whether or not to take them. When [I have] an open-minded crowd, I love to cover a lot of ground and thereâ€™s not too much that is taboo.